A $100 million lawsuit was filed in the duck boat incident that killed 17 people on a Missouri lake this month and lawyers representing those who lost loved ones on the ill-fated voyage say their goal is to ban what they described as amphibious "death traps." The federal lawsuit was filed in Kansas City, Missouri, Sunday night on behalf of an Indiana family that lost nine relatives, including four children, when a duck boat was swamped and sank earlier this month in bad weather on Table Rock Lake in Branson, Missouri. Investigators raised the duck boat, July 23, 2018, that capsized killing 17 people on Table Rock Lake near Branson, Mo. The suit, the first of several anticipated, was specifically filed at the request of the estates 76-year-old Ervin Coleman and 2-year-old Maxwell Coleman-Ly. Lawyer Robert Mongeluzzi said at a press conference Monday in Kansas City that duck boats have killed a total of 42 people over the past two decades and companies in the industry have ignored repeated warnings that the vessels are dangerous both in the water and on the roads. Mongeluzzi cited a lawsuit his firm filed in a 2010 incident in which two Hungarian students were killed when a duck boat they were riding in on the Delaware River was struck by a tugboat. He also cited a 2015 incident in Philadelphia in which a duck boat struck and killed a pedestrian in front of her husband. "We called for them to be banned in 2010. We called for them to be banned in 2015 when they ran down and killed a pedestrian in Philadelphia and squashed her to death while her husband watched," Mongeluzzi said. "We drove them out of Philly and with this lawsuit we hope that we will drive the death-trap duck boats out of business." Investigators remove the duck boat on July 23, 2018, from Table Rock Lake near Branson, Mo., five days after it capsized in a storm killing 17 passengers. 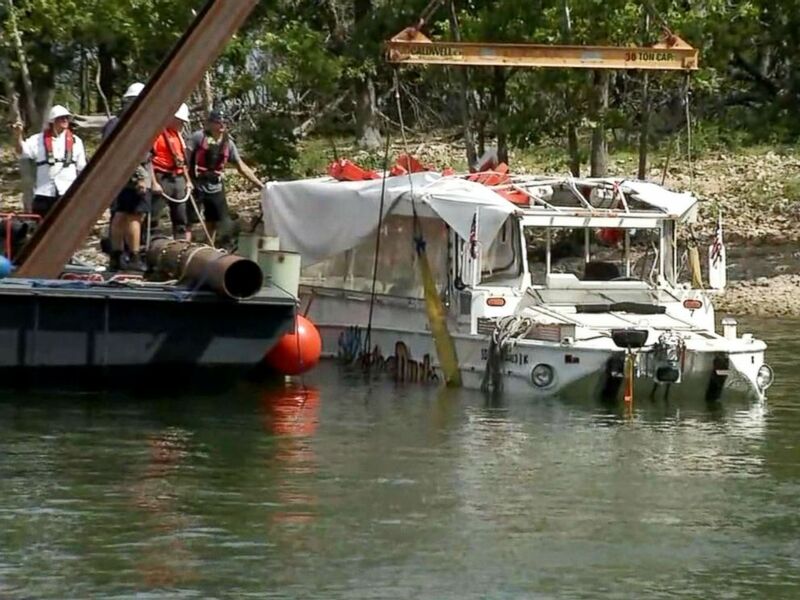 The new lawsuit was filed on behalf of the Coleman family of Indianapolis, Indiana, who lost nine relatives when a duck boat got caught in a fierce storm and sank on July 19 on Table Rock Lake. Seventeen of the 29 passengers and two-man crew aboard the Ride the Ducks vessel dubbed "Stretch Duck 07" were killed. Mongeluzzi said the Coleman family has asked him and his legal team to "find out what happened and make sure it never happens again." "This tragedy was the predictable and predicted result of decades of unacceptable, greed-driven and willful ignorance of safety by the Duck Boat industry in the face of specific and repeated warnings that their Duck Boats are death traps for passengers and pose grave danger to the public on water and on land," the lawsuit states. Named as defendants are Ripley Entertainment, owner of the Ride the Ducks operation in Branson, and Ride the Ducks International, which sold its duck boat fleet to Ripley in 2017. Also named in the suit was Amphibious Vehicle Manufacturing, which built the duck boats. Ripley's spokeswoman, Suzanne Smagala, said the company remains "saddened" by the tragedy and continues to support the victims and their families. "The investigation by the National Transportation Safety Board is still underway," Smagala said in a statement. "No conclusions have been reached, and we cannot comment at this time." 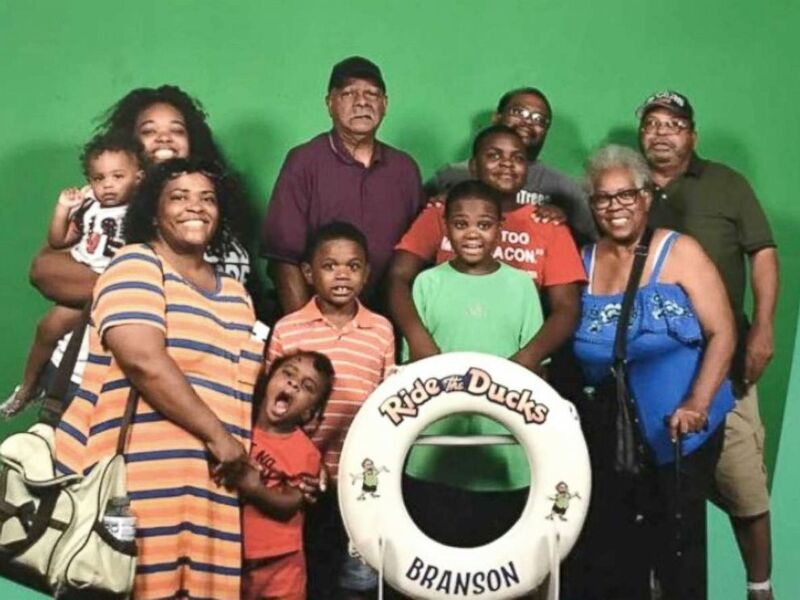 The Coleman family before the duck boat accident in Branson, Missouri, that left nine of them dead. 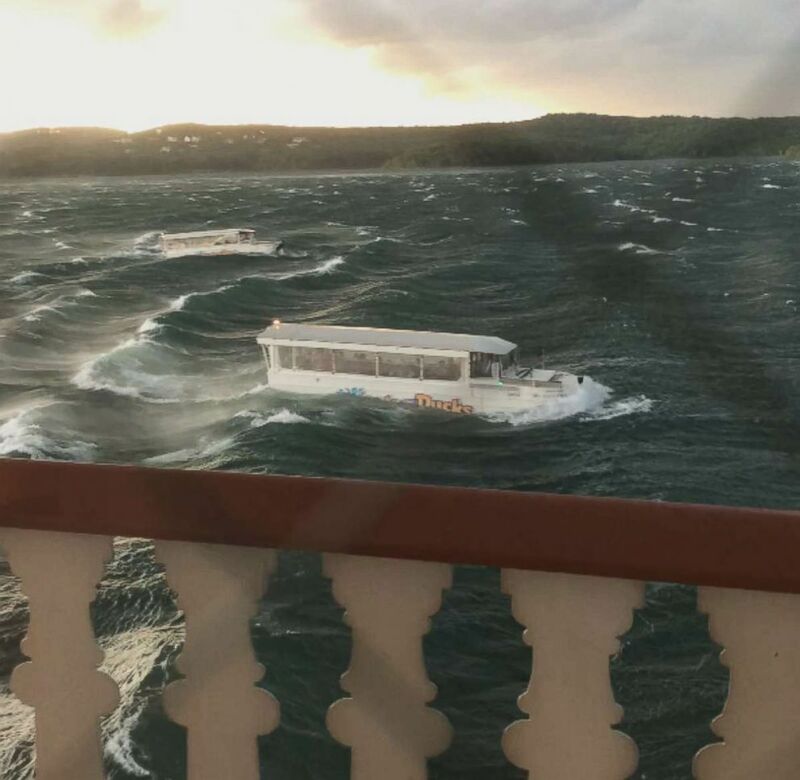 The lawsuit alleges the duck boat operators were negligent in not heeding weather advisories of an impending storm and even changed the duck boat tour from water first to land second in hopes of beating the bad weather forecast for the lake. Steven Paul, the owner of Test Drive Technologies in St. Louis, told ABC News last week that he was hired by Ripley to do a pre-purchase inspection in August 2017 on 24 of the duck boats the company was buying from Ride the Ducks International. Paul said he found design flaws with the boats' engine exhaust and bilge pumps that made them vulnerable to stalling out in bad weather. "If you get water up it into an engine's exhaust, eventually the engine will flood with water and will become inoperable," Paul told ABC News. A video grab shows a tourist duck boat taking on water in a lake near Branson, Mo., July 20, 2018. The lawsuit cites Paul's report to Ripley, saying the company "did nothing in response to these warnings." "Despite the fact that Defendants knew their Duck Boats were unfit to be used even in ideal conditions, on the date of this catastrophe, Defendants' greed caused them to ignore severe weather conditions that demanded they cancel all trips for their duck boats," the lawsuit reads. The suit also focuses on the boats' canopies, which, Mongeluzzi alleged, trapped passengers, preventing them from floating free of the watercraft when it sank. Tia Coleman, who survived the incident but lost her husband and three children, said in a press conference earlier this month that the duck boat captain told passengers where life jackets were stored but said they wouldn't be needed. "So because of the canopies that they added, you are dead if you do [wear a life jacket], you are dead if you don't. You drown if you do, you drown if you don't," Mongeluzzi said. "They put their passengers in an impossible situation where no matter what you do, they are likely to die if that duck boat sinks."